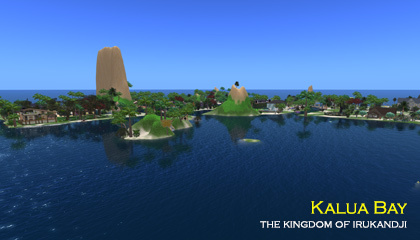 Kalua Bay existed on the InWorldz virtual world from early 2013 through to late 2014. Kalua Bay was a standard size simulator (6.55 hectares/16.2 acres). I terraformed Kalua Bay by hand and created all the textures plus prim and scripted content. 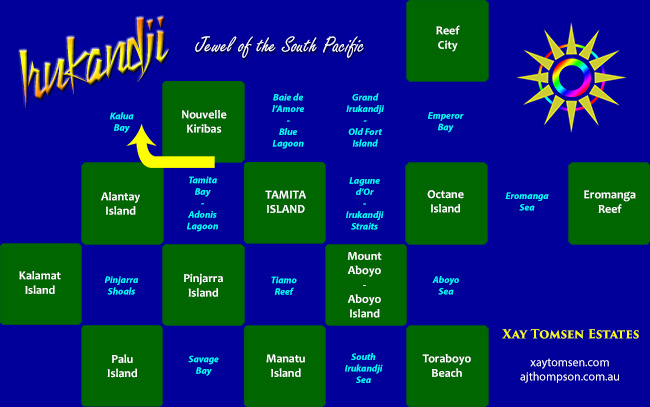 Situated in northwest Irukandji, Kalua Bay was an unpopulated recreational bay for sailing, with a picnic area on the main atoll. Kalua Bay also acted as a conduit for the Maskari River which flows through neighouring Nouvelle Kiribas and Alantay Island.